GENE HOGLAN is pleased to announce that due to the extended hard work his team is doing to make his upcoming DVD, The Atomic Clock – The Clock Strikes Two, the best it can be, he is extending the pre-order period. That’s right; pre-orders are now extended through December 1, 2013 — just in time for the holidays! The Atomic Clock: The Clock Strikes Two is available for pre-sale with SEVEN awesome package options at http://www.hoglanindustries.com/Fan_Packages.html (see below for details). Gene recently revealed a new teaser video the DVD, exclusively via Modern Drummer. Although Gene has footage chosen for The Atomic Clock: The Clock Strikes Two, he’s leaving it up to his biggest fans to really decide what they would like to see! Email streetteam@reversedrecords.com and tell Gene what you want to see on the next DVD, and you will be given the chance to pre-order several packages. A copy of the DVD when it is released and a poster, both signed by Gene Hoglan. Gene Hoglan signature drumhead and drumstick, a copy of the DVD and a poster, both signed by Gene. Exclusive Fan Club T-shirt*, Gene Hoglan signature drumhead and drumstick, a copy of the DVD and a poster, all signed and personally addressed to you by Gene. *Fan Club T-Shirt is available exclusively to members of the Atomic Army; it cannot be purchased anywhere by the general public. Your choice of two designs. Gene will call two of your friends (or enemies) and tell them you’re cool, even if you’re a jerk. You will also receive the exclusive T-shirt*, Gene Hoglan signature drumhead and drumsticks, a copy of the DVD and a poster, all signed and personally addressed to you by Gene. Help influence what you’d like to see on the DVD… Give Gene your suggestions face-to-face in a 30-minute Skype chat. Ask him about techniques, his touring experiences, anything at all! You will also receive the exclusive T-shirt*, Gene Hoglan signature drumhead and drumstick, a copy of the DVD and a poster, all signed and personally addressed to you by Gene. Receive one of Gene’s very own cymbals, used on tour and on recordings with bands Testament, Dethklok, Death To All, signed and personally addressed to you. Includes exclusive T-shirt*, Gene Hoglan signature drumhead and drumstick, a copy of the DVD and a poster, all signed and personally addressed to you by Gene. GENE HOGLAN is heralded and is inspirational to many, even outside of his drumming and now celebrates a 30-year career in music as metal’s most in-demand legendary drummer. Gene is the only metal drummer to accomplish two #1 records on the Rock charts in 2012 with Testament’sDark Roots Of Earth and Dethklok’s Dethalbum III. Testament’s Dark Roots Of Earth also went to #9 in the world and #12 in the US, andDethklok’s Dethalbum III also went to #10 in the US, and thru a major lifestyle change has beat diabetes and lost over 160 lbs. 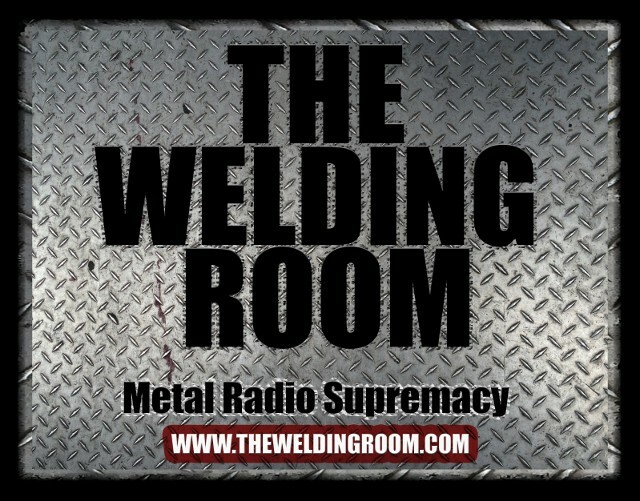 This entry was posted in METAL and tagged #MetalRadioSupremacy, #TheWeldingRoom, #TWRradio, Atomic Clock, Atomic Clock: The Clock Strikes Two, Dethklok, DVD, GENE, Gene Hoglan, Metalocalypse, Pre-order, Strapping Young Lad, testament. Bookmark the permalink.